The time has finally come for September football to begin. 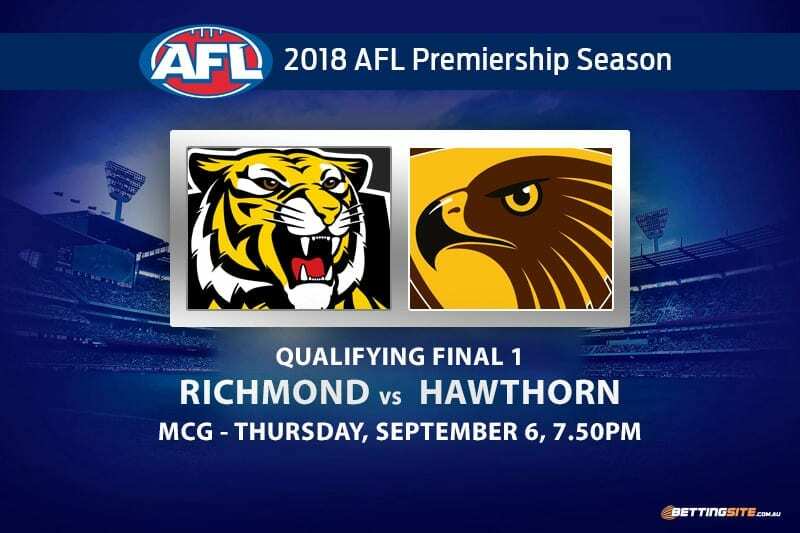 The Richmond Tigers will host the Hawthorn Hawks at the MCG in the first Qualifying Final. These two Victorian juggernauts will fill the MCG this Thursday in what will be the first ever final played between the two great clubs. 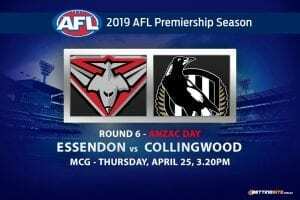 Richmond will enter the match with the confidence they have carried throughout the season, but the reigning premiers will need to be at their best to beat the well-drilled Hawks, who under Alastair Clarkson cannot be underestimated. The bye round before this week was excellent for the Hawks as they now can include defensive duo James Sicily and James Frawley in their side. Richmond will make the decision this Wednesday whether Dan Butler is ready to play, who after a quiet VFL match, may need to wait another week for his comeback. No club is more experienced in September than the Hawks. 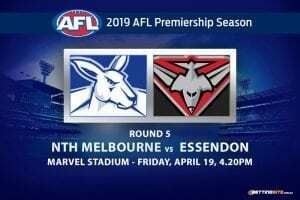 Clarkson and his former deputy Damien Hardwick will engage in a fascinating clash that is the perfect way for a blockbuster weekend of finals football to begin. While Richmond has been able to use overwhelming pressure on the field and the incredible atmosphere that their fanbase creates off it to wear down their opponents, Hawthorn is one of the rare teams in the comp with the experience and nous to deal with it. We expect a tough, intense, dour battle and despite perfect conditions, a low-scoring game. The Hawks’ backline matches up nicely with the Richmond attack and scoring will be hard to come by at both ends of the ground. On the flipside to the Hawks defensive prowess is their forward blend of quick smalls and mobile talls. 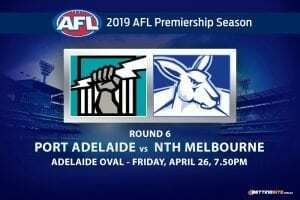 Luke Bruest and Jack Gunston are going to perform, but the likes of Paul Puopolo and Jarman Impey will be crucial for them. Locking the ball inside the forward half and maintaining possession is the key to dethroning the Tigers, a style that Clarkson has been using since his arrival to the club. The Hawks have the power inside 50 and the talent to utilise them. Knowing how to start a match on the right foot is an asset that the Tigers use each week. After finishing the season two wins clear on top of the ladder in one of the best years in the club’s history, Richmond will want to make a statement early in this final and start hot. The $1.57 for the Tigers to kick the first three goals is a quality multi filler. 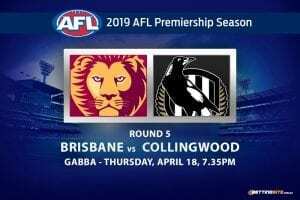 Even though the Tigers will start better, we expect the Hawks to settle into the match and take it right up to the champs, getting to the half century first. 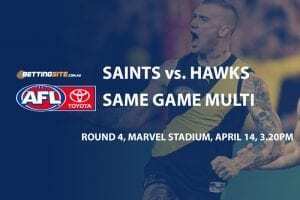 The key Hawks inclusions will come into the match by halftime and if the Hawthorn midfield can break even or beat the Tigers engine room, they have the key stocks forward and back to influence the scoreboard. Caddy has an instinct for the goals and can mark the ball well in the air. If Caddy is lining up for a shot on goal, put it down as a major, Caddy has a massive 71% scoring accuracy, where most of the misses have been in the field of play. When Dustin Martin wins the opening clearance, look out for Josh Caddy in the air or at ground level. 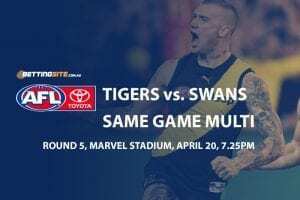 The first Qualifying Final of 2018 will be won by the Richmond Tigers this Thursday night. The Tigs have an incredible record at the MCG and never cease to amaze us. The Hawks will come very close as they always do.